Jeffery B. Cannon is a Research Associate at the Colorado Forest Restoration Institute. His research interests include understanding how forest restoration treatments alter forest heterogeneity and how spatial patterns of forests influence forest dynamics. Jeffery holds a Ph.D. in Plant Biology from the University of Georgia where he developed expertise in disturbance interactions between wind damage and fire. 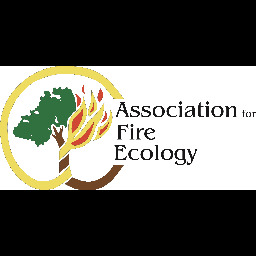 Recent efforts include studies of the landscape patterns of forest tornado damage, mechanical resistance of trees to blowdown, and forest disturbance from tornados influences forest fuels and the behavior of prescribed fire. Contact: jeffery.cannon@colostate.edu. In the Colorado Front Range, the Collaborative Forest Landscape Restoration Program (CFLRP) has planned or implemented over 8,000 ha of restoration treatments. A key objective of these treatments is to restore complex spatial patterns that historically characterized lower elevation ponderosa pine forests such as a mosaic of gaps and openings. Spatial patterns shape ecological functions such as forest dynamics, understory diversity, and wildlife habitat. Given the high cost of mechanical thinning treatments, interest in utilization of managed (“resource objective”) wildfires has recently increased. We used supervised classification of satellite imagery to examine how CFLRP treatments in ponderosa pine forests of the Colorado Front Range alter spatial patterns including gap size distributions. We compare the outcomes of restoration treatments (ranging in size from 50 to 1200 ha) to low- to moderate-severity portions of wildfires. In general, both mechanical treatments and low- to moderate-severity portions of wildfire reduce canopy cover and alter gap size metrics. We discuss (1) topographic factors related to changes in gap characteristics, (2) the relevance of findings to ongoing CFLR monitoring of understory plant and wildlife communities, and (3) the implications of our findings for restoration and management of ponderosa pine forests.